John Williams' score for World War II drama The Book Thief is something of a milestone, given that it's his first non-Steven Spielberg/George Lucas work for nine years. Adapted by director Brian Percival from Markus Zusak's bestselling novel, it's the story of a young girl named Liesel (Sophie Nelisse) who in 1939 is sent to live with foster parents Hans (Geoffrey Rush) and Rosa (Emily Watson). With war imminent and book burning rife, illiterate Liesel not only teaches herself to read but also forms a bond with Jewish boy Max (Ben Schnetzer), whom Hans and Rosa are sheltering in their basement. The film itself has had mixed reviews but Williams' typically classy and elegant score is beyond reproach. Decades of film scoring shine through in each new soundtrack that Williams composes, lending a sophisticated sheen that other film composers simply cannot touch. However, that's not to say that The Book Thief is instantly memorable – lacking the heart-wrenching highlights of his finest work in the dramatic arena (Schindler's List; Born on the Fourth of July; Jane Eyre; Memoirs of a Geisha), this falls more into the Angela's Ashes camp: subdued, subtle, melancholy but appealing and melodic nonetheless. Given the nature of the story, Williams' score isn't one to leap out at the listener, but then a boisterous, melodramatic work would have been hideously inappropriate. Williams is one of the greatest film composers for how he puts the story first, analysing its needs and making the music suit, rather than vice versa. For this reason, the music brims with a sense of sadness and desperation yet also quiet defiance, as Liesel inwardly rebels against the Nazi regime. The soundtrack begins with the main theme, a piece capturing not only the tragic weight of the World War II setting but also the importance and magic of reading. Rooted in an undulating piano (always an effective device for establishing a sense of intimacy), the opening track "One Small Fact" is both poignant and hopeful, the essence of the film in a nutshell. The theme is stated regularly throughout the score, blossoming in the later stages as Liesel's love of reading becomes its own act of defiance. It isn't one of Williams' most attention-grabbing themes but it serves the film brilliantly. There are several other ideas that work their way through the score. A dark, toiling piece introduced in "Book Burning" captures the darker side of the story and underscores a key scene in the film where Liesel realises the threat that the Nazis pose. The third key theme is first heard on tender oboe in "Max and Liesel", a lovely piece capturing the deeply felt yet platonic relationship between the older Jewish boy and the German girl who becomes his closest friend. Pieces such as this demonstrate Williams' often underrated skills with an intimate ensemble. Although he's justly famous for his bigger, brasher scores like Star Wars, Indiana Jones and Jurassic Park, he can also do subtlety with the best of them. The main theme is treated to numerous haunting arrangements, its malleability a classic hallmark of this composer. Its early statements ("The Journey to Himmel Street"/"New Parents and a New Home") are somewhat pensive and tentative, as Liesel adjusts to her new foster home. Later on, it's almost rapturous ("Ilsa's Library"/"Learning to Read") as she discovers the joy of literature, the music reaching exquisitely beautiful heights that are typical of Williams. Then there are the playful scherzos of "The Snow Fight" and "Foot Race", filled with delightful racing strings that capture the more whimsical aspects of Liesel's story without ever undermining the score's overall serious intent. Generally though, these moments are few and far between. "I Hate Hitler!" is a deeply impassioned piece that brims with a sense of human compassion whilst "The Train Station" carries a genuine air of desperation about it. As the score progresses, the main theme becomes more prominent, a humane counterpoint to the film's increasingly anguished war-time setting – tracks like "Writing to Mama" demonstrate this perfectly. The duo of "Max Lives" and "Rudy is Taken" in a way is emblematic of the score as a whole – the lushly gorgeous, cathartic strings of the former and the aching tragedy of the latter, reflecting both the happiness and sadness that is visited on young Liesel. 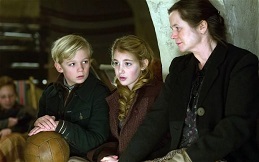 The score's highlight occurs in the concluding tracks "Finale" and "The Book Thief", both showcasing sumptuous and moving renditions of Liesel's theme as her remarkable story is brought to a close. Williams' intelligent mastery of his central ideas, his ability to present a rounded, coherent suite of all his themes, is one of many reasons why he's regarded as one of the finest film composers of all time – this manner of film scoring may frankly seem old-fashioned in today's age but features a level of tact, elegance and skill that many modern day composers would do well to learn from. 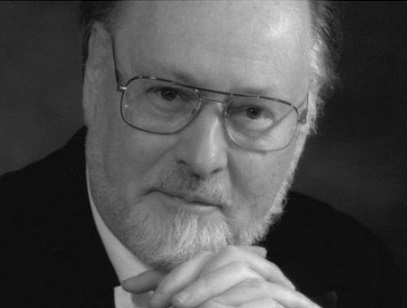 With John Williams now in his eighties and his output slowing down notably, every new score is to be cherished. 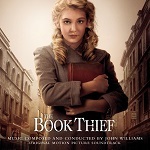 The Book Thief is no exception: although its subdued, melancholy aura is by no means new or innovative by the composer's standards, and although the score's quiet nature precludes it from being as memorable as his more exuberant efforts, it nevertheless compels with its compositional intelligence, elegance and clearly delineated themes. When a film composer has achieved as much as Williams has, sometimes innovation isn't needed – instead, we simply need to be reminded what it was about their music that caused us to fall in love in the first place. In Williams' case, it's that richly old-fashioned, classical sound that hearkens back to Hollywood scores of old, an increasingly refreshing palate-cleanser in this era of synthetic film music. The score also demonstrates Williams' oft-overlooked ability to craft quiet and gentle music. The film's director Brian Percival expressed initial concern that Williams' music may overtake the film. Thankfully, both the composer's and director's visions meshed perfectly, Williams focusing on an intimate, moving ensemble that beautifully captures Liesel's story. This is another reason why he's so revered among the film score community – he adapts to the needs of a given filmmaker, realising exactly when tenderness or brashness is required. Perhaps this is one of the reasons why Williams has endured for so long – not only is he a tremendous composer but he's also a fine collaborator. It's this essential humility and humanity that shines through in every Williams score, The Book Thief included, securing him as one of the finest composers of all time, film or otherwise.